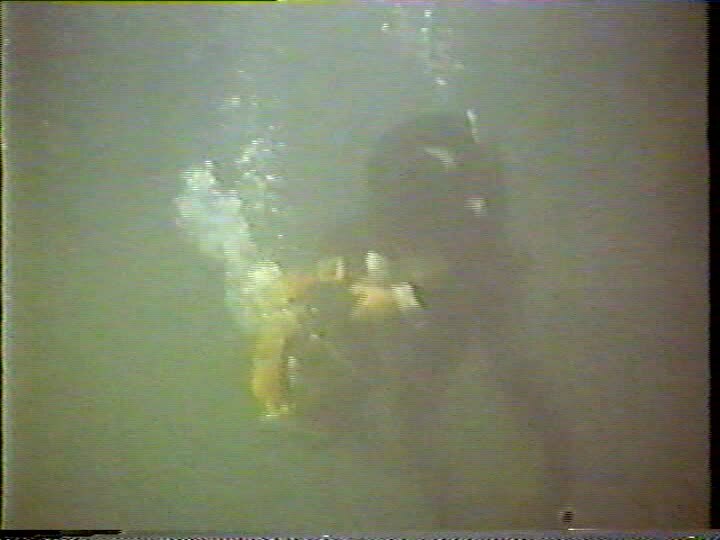 They start to fight underwater…. who will win? 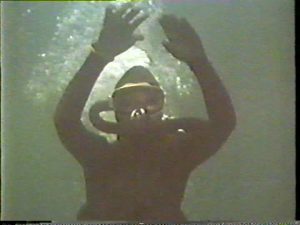 Sea Hunt – Female scuba diver attacked by her dive buddy! Female scuba diver attacked by another diver! I think that the diver is a male. Who will win the struggle ? Well, the diver is supposed to be woman, but I’m not sure what it is in real. Who will win the struggle? 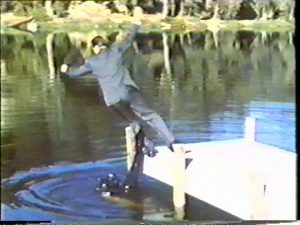 Well, there is no more underwater footage of that scene! It ends very suprisingly….the man survives, that’s for sure (hosptital scene afterwards). I thought frogman was a man because he is beefy. Do you mean that she is clearly identified as a woman before that scene ? Why does she attempt to drown him ? About end of scene, you write that he succeeded to escape but I hope that the lady survived too ! You don’t see her later in the movie ? She is an horny frog, dressed in her black rubber hooded wetsuit and supplied with air from a twin-hose . I love the way she catches the guy, with her gloved hand shining at sun. So, this man had an appointment with her ? He is on the floating platform looking down : he knows she’s underwater ? Will there be a part 2 to this video so we can at least verify that the diver is indeed a female ? Would like to see her exiting the water and at least taking off her mask and removing her hood. Well, I checked the episode. I forgot there is another scene with her!!! Totally forgot about it….